Once again, the Museums at Night May festival (13-16 May 2015) overlaps with the Adult Learners’ Week Festival of Learning, which runs throughout May and June 2015, and we’ll be cross-promoting each other’s events as usual. 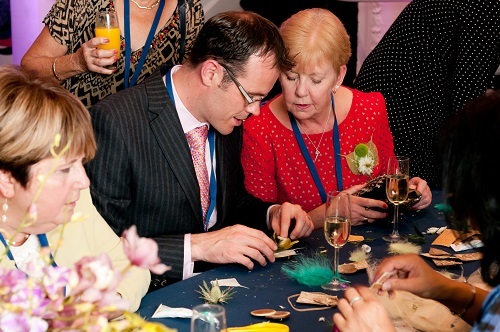 So why not consider including an educational element when planning your Museums at Night event? When we’re young, learning is everywhere. From schools and colleges to after school-clubs and the home, it’s obvious where we can improve our skills and abilities. As we get older, many of us want to continue this journey but we’re often unaware of the variety of learning opportunities that are available to us. Lots of museums and galleries are already engaging thousands of adults in learning and developing their skills. For those who have not yet jumped on the bandwagon, there’s never been a better time to come aboard. 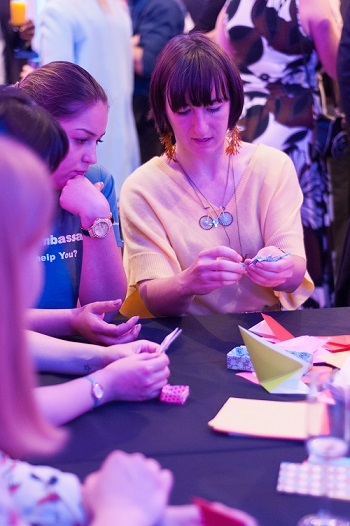 Museums at Night is partnering with the Festival of Learning, led by the National Institute for Continuing Adult Education (NIACE), which brings together a range of events and activities taking place throughout May and June 2015. The Festival of Learning is a prime opportunity for museums, galleries and heritage sites to run events which can educate, inform and raise awareness in the adult learning community. There are many ways in which the cultural sector can engage adult learners this spring: here are some ideas! Adults are often keen to hear from experts in a particular field. Utilise the breadth of contacts at your fingertips, such as local artists, academics and curators, to provide adults with an intricate background to exhibits and engagement with the wider community. Whether it’s photography classes in a local gallery, or a sewing school in a textile exhibition, museums provide an engaging backdrop to learning new skills that help participants progress both personally and professionally. This kind of initiative is also a simple way to engage and form partnerships with local educators, further widening the reach of your institution and opening the doors to new audiences. Often with full-time jobs and families, adult learners’ time is precious so it’s important that classes are stimulating without being too heavy-going. Avoid long lectures and opt for more group discussions, practical tasks and problem-solving games. Adult learning is an opportunity for museums to engage anyone and everyone, from learners to schools and beyond. The Festival of Learning showcases just how many organisations are joining the adult learning mission and is a fantastic opportunity to have a go, even if it’s just an evening class or a late night tour. You can upload your May and June Festival of Learning events to the free online events diary at http://www.alw.org.uk/events. For more information, you can connect with Adult Learners Week on Facebook (www.facebook.com/niaceadultlearnersweek), follow @NIACEhq on Twitter and look out for the hashtag #ALW. 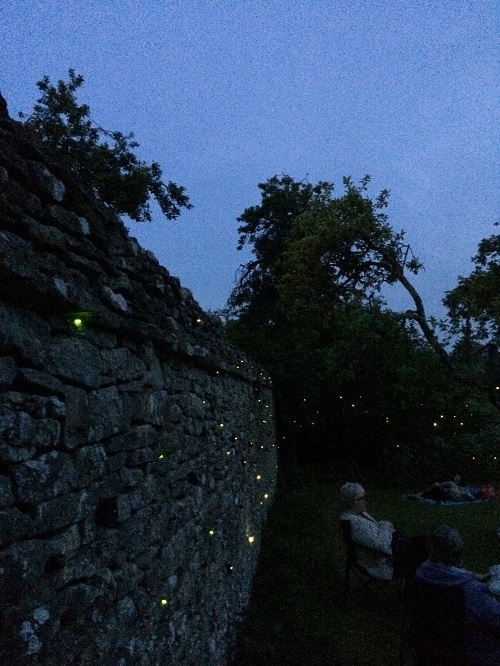 Our latest guest post comes from Autumn Neagle, Marketing and Events Manager at Cogges Manor Farm, who helped attract visitors with a Museums at Night evening of music and an outdoor glowing light installation. Cogges Manor Farm is a historic farmstead just 5 minutes walk from the centre of Witney, a town once known for its thriving wool trade. Cogges has a fascinating history going back 1000 years. It is listed in the Domesday Book and the first owner Wadard appears as a Norman knight on the Bayeux tapestry! The manor is one of the oldest remaining houses in Oxfordshire with 15 acres of grounds, 17th century farm buildings, a walled garden and Victorian apple orchard. Popular with locals and tourists with over 40,000 visitors this season, Cogges is now attracting visitors from all over the world due to appearing as ‘Yew Tree Farm’ on ITV’s Downton Abbey. The beautiful outside space gave me the idea to hold the main attraction for our first Museums at Night event in the orchard. We aim to present the site in a unique and inspiring light to visitors, so focusing the event in the orchard after hours was a great way of creating a new experience. I got in touch with Oxford Contemporary Music and they suggested an installation by Alex Bradley, a Bristol-based artist they had been working with. We were delighted to be able to host Alex’s outdoor installation Field Test. Alex has a family history of cataracts, and this installation is inspired by the Visual Field Test used to examine peripheral vision. Mixing audio, technology and instruments with birdbox speakers and 800 solar LED light units, ethereal harmonies came from all around as people wandered through the trees. I programmed harpist Steph West, and singer Jess Hall with cellist Barney Morse Brown in the barn, and we served soup and a drinks bar. We had artwork and demonstrations, storytelling and kids activities led by volunteers. We welcomed over 300 regulars and new visitors. 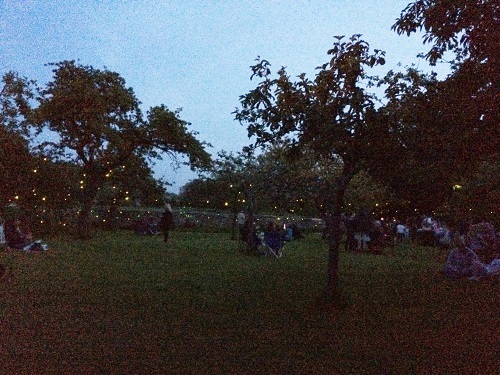 People meandered around the farm while it was still light and gathered in the orchard as the skies darkened. The evening was unique for Witney, and we were lucky with the weather, as it was a beautiful summer evening and people stayed outside till 10pm. It was wonderful to see families picnicking and children playing and many commented how special it felt. People loved the event and enjoyed spending relaxed time in beautiful surroundings after hours at Cogges, a place at the heart of the community and special to many generations. Alex’s installation was produced by OCM and was funded, which is why we were lucky enough to be able to host an artistic piece of this calibre at no cost to the charity. We charged just £2 entry to encourage as many people as possible to come along and see it. On this special occasion, none of the performers charged a fee, and we broke even. Lessons learned included providing more food stalls in future, and lighting dark areas, as we had to keep the orchard and surrounding area unlit for the installation. Communicating the artistic nature of the event was challenging: from descriptions of the lights, some visitors said they had expected a laser show. Providing suggested tweets in the press release might have helped to describe the event more clearly, and several visitors asked us for more information about the artist. Overall, though, the event was very well received with lots of 10 out of 10s on the visitor survey. OCM gratefully acknowledges the support of Arts Council England, PRSF, Oxford City Council and Oxford Brookes University. Autumn Neagle is Marketing and Events Manager at Cogges. 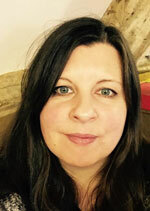 She has worked as a PR and Programming producer for music and arts organizations and projects in Oxfordshire and London at live music venues, community arts organizations, festivals, carnivals, museums and galleries. Find out more about Cogges on Facebook or follow @CoggesWitney on Twitter. If you’d like to write a guest post or share a case study about any aspect of audience development, event planning or marketing in the arts and heritage sector, please email rosie@culture24.org.uk. Posted on February 3, 2015 by Culture24 | Comments Off on Partnership opportunity: work with a voluntary arts group! We’re delighted to announce our latest partnership for Museums at Night 2015: we’re working together with Voluntary Arts, organisers of the annual Voluntary Arts Week! In previous years, we’ve connected artists and authors with museums, and we’ve been delighted to see some terrific event partnerships springing up between local voluntary arts groups and cultural and heritage organisations. However, we really wanted to widen the opportunity to all arts and heritage organisations who’d like the chance to link up with a local creative or performing group to collaborate on interesting joint events as part of the festival. Voluntary Arts Week is all about giving these groups the opportunity to showcase their practice to new audiences, so this is an ideal partnership. Why not take advantage of this opportunity to discover which voluntary arts organisations exist in your local area, reach out to them, and find a way of collaborating on a Museums at Night event? 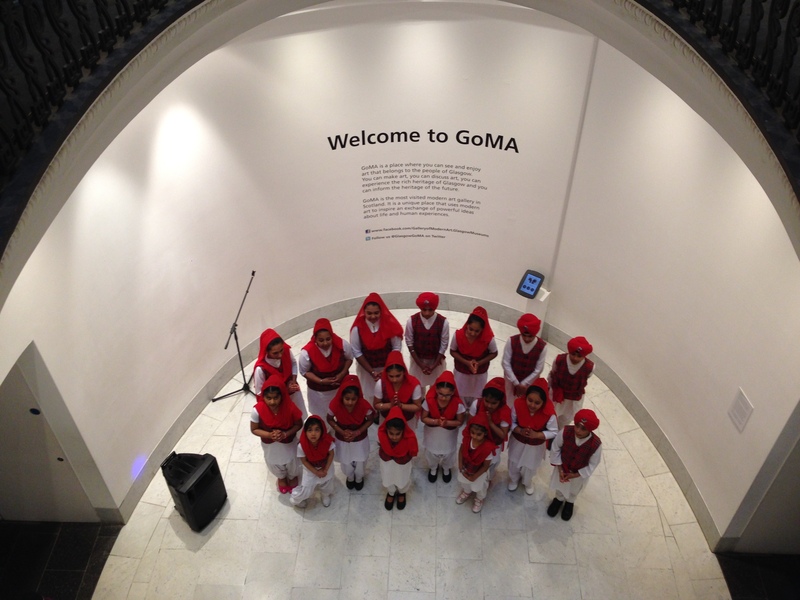 Voluntary arts groups, like museums, come in many shapes, sizes and genres. From amateur dramatics companies to knitting circles, choirs to embroidery groups. The one thing they all have in common, is passion. Nobody pays them to do it, they meet, share and create purely ‘for the love of it’ (which, in case you didn’t know, is the original definition of ‘amateur’). 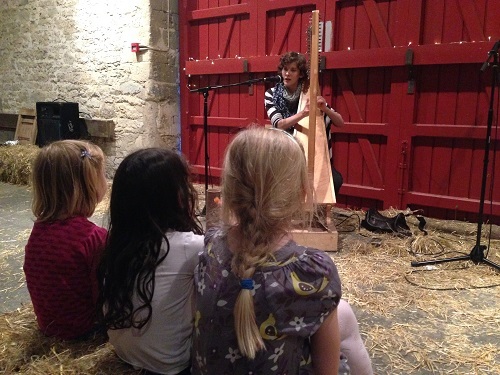 By connecting with a local voluntary arts group, and working with them on a Museums at Night event, museums and galleries can come to life in a whole new way. Imagine a dance group drawing a crowd outside your venue, a choir singing in your foyer, a drama club creating a short scene inspired by your exhibits, or a painting group displaying their creations in your café. Imagine that and a myriad of other ways your spaces could be enriched by a voluntary arts group, because the possibilities are indeed endless. Not only could it attract new audiences to your venue, but the groups themselves (and their families and friends) are potential new visitors. Events such as a flashmob bursting unexpectedly into song inside a museum are also a great way to engage your local media. The May Museums at Night festival happens during Voluntary Arts Week, an annual celebration of cultural participation run by Voluntary Arts. 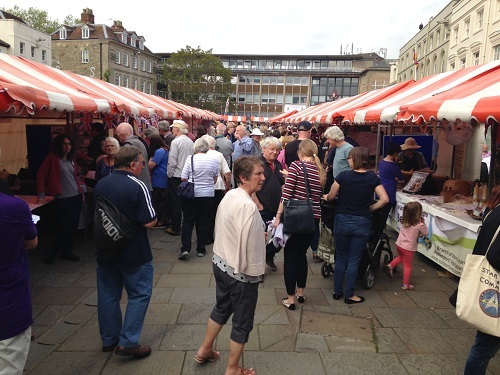 Throughout the week, local cultural groups will be showcasing their wares and encouraging new people to discover the joy of taking part. Museums at Night is the perfect vehicle to help make that happen – whilst boosting your venue’s profile at the same time. Any events taking place that week will also benefit from double publicity, through the Voluntary Arts Week website and a range of social media. To find out how your venue could hook up with a local voluntary arts group, contact your closest Voluntary Arts representative and get ready to make magic. Who is your Voluntary Arts representative? What would a voluntary arts Museums at Night event be like? It may mean giving a community choir space to perform, or inviting a group of guerrilla knitters to “yarnbomb” your gardens, or collaborating with artists or creative writers to offer a hands-on workshop inspired by your venue or collections … or something else we haven’t thought of before! This could also lead to longer-term collaborations and partnership working within communities, helping your organisation to broaden your offer, discover new ideas and ways of presenting your spaces and collections, and connect with new audiences through creative art forms. We also collaborated on these handy information packs full of case studies about successful creative collaborations to inspire you! Museums at Night venues: For more information and guidance on how to involve voluntary arts groups in your Museums at Night event, including tips on how to find groups near you and inspiring case studies, download the Museums at Night information pack here. Scottish Festival of Museums venues: For Scotland-specific information and guidance about working with voluntary arts groups, download the Festival of Museums information pack here. 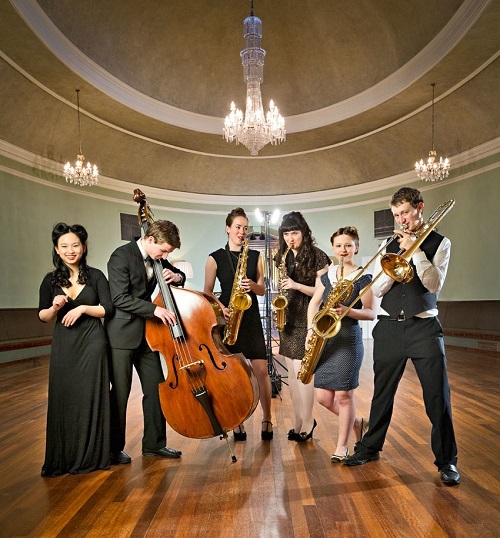 Voluntary Arts groups: Curious about collaborating with cultural and heritage organisations? Download our top tips on working with cultural venues here. 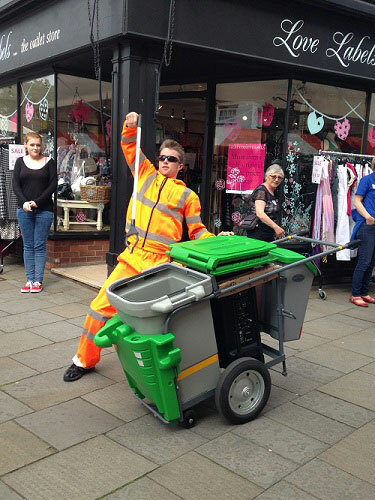 Comments Off on Partnership opportunity: work with a voluntary arts group! Culture24 is pleased to announce that Museums at Night, the UK’s annual after-hours festival of arts, culture and heritage, will now be taking place twice a year – in May and October. Now in its seventh year, Museums at Night offers the chance to experience culture and heritage in a totally unexpected way. The festival sees hundreds of museums, galleries and historic spaces all over the UK opening their doors late for an array of special events. The festival has experienced phenomenal growth during the past few years, attracting 180,000 visits to 700 events in more than 500 venues across the country in 2014. 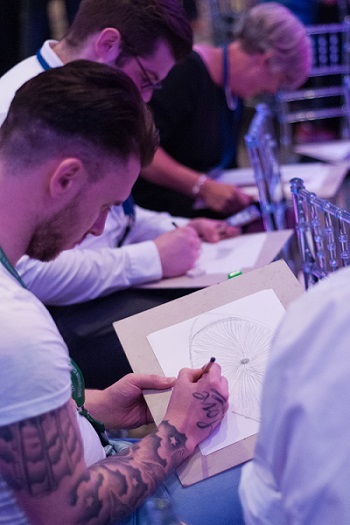 The annual Connect10 competition – which gives people the chance to ‘win’ a leading contemporary artist to create a unique event at their local cultural venue during Museums at Night – is to be rebranded Connect! for 2015. This year it will feature six artists, with each event taking place during the October festival. Voting for Connect! 2015 will open on May 1 and winning venues will be announced during Museums at Night in May. The public can vote at www.museumsatnight.org.uk. The artists taking part in Connect! 2015 will be announced shortly. Previous participating artists have included Bob & Roberta Smith, Jake and Dinos Chapman, Gavin Turk, Jessica Voorsanger and photographer Rankin. Previous events have included a Grayson Perry teddy bear hunt around York Museum, New York artist Spencer Tunick photographing 100 individual nudes on Folkestone beach and Bompas & Parr floating the Bristol’s ss Great Britain on a sea of lime green jelly. In 2014, the Connect! competition attracted more than 62,000 public votes. Connect! is funded by Arts Council England to support venues trying something different to attract new audiences to their Museums at Night event. Tying in with the European initiative La Nuit des Musées, Museums at Night is run by Culture24 and designed to attract new audiences into museums and galleries via a range of exciting events. New opportunity: Host a Museum Town Square! Culture24 seek expressions of interest in Museum Town Square, an expansion on Market Hall Museum Warwick’s ‘Great Warwickshire Show And Tell’ event for Connect10 in 2014. We are looking at the idea of rolling out these open-air museum events around the country, either in 2015 or 2016. The philosophy behind Museum Town Square is simple – give people a forum to present and talk about their passion, without hierarchy or the need for prices or literature – and they will make a deeper connection with the people they meet. The huge breadth of collections and displays, from beekeepers to bread-makers, cheese-rollers and barrel burners will tap into the hidden resource and passionate expertise of Britain’s collectors. 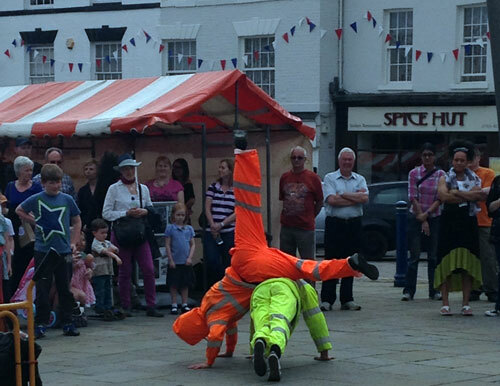 In contrast to the homogenous nature of the modern town centre, for three days in May streets and squares will showcase the diversity of the country’s enthusiasms. Museum Town Square will be artist-led, empowering people to be at the heart of the art, with activities and things to do animating the spaces throughout the day. It will attract enormous media coverage; from local TV, radio and press, supplemented with national BBC programming, creating a unifying national experience. This idea was piloted in Warwick for Museums at Night 2014 by Alex Hartley in partnership with Market Hall Museum, attracting over 4,000 people to the market square and the museum. The town’s market stalls were used to unify the exhibits into a single celebratory event. Basic rules prevented direct selling and commercial signage. Each stall was manned by an expert, creating a hosted cabinet of curiosities. Watch the short film about the Warwick event: http://youtu.be/bWj8-hR2khs. What will Museum Town Square mean for your community? Museum Town Square will turn town squares nationwide into outdoor museums, creating a national mass participation event and art happening on a grand scale. Centrally curated by artist Alex Hartley, with input on a local level from local artists, the stalls will feature community and hobbyist organisations and individuals – turning each town centre into a giant outdoor show-and-tell, for one late afternoon/evening only. Each event would be run with a very simple set of ground rules (including no selling or print material allowed) with the aim of facilitating a dialogue and conversation between enthusiasts and visitors, which worked so well in Warwick last year. Each event will be run by a local museum or gallery, with central support and guidance from Culture24 in every aspect of the project. The lead organisation in each town will be responsible for coordinating the invited local community groups and running the logistics of the event, which presents an opportunity for that organisation to raise their profile both within the community and directly to audiences. This project will go ahead subject to a successful application to one or more public funding organisations, and would be managed on a full cost-recovery basis for all participating venues. Team Museums at Night on the road again: join our free briefing sessions! Interested in taking part in the Museums at Night festival and/or entering the Connect! competition to develop a participatory event with a contemporary artist? We’re delighted to announce our second series of free, friendly Museums at Night / Connect! regional workshops in early February 2015, following our successful roadshows in London, the Midlands and Yorkshire in 2013. In February we’ll be travelling to three different regions: the South West (Bristol), East of England (Cambridge) and North West (Manchester). The circus is coming! This isn’t Team Museums at Night – it’s artist Jessica Voorsanger leading a sci-fi parade through Scunthorpe for the 2014 festival. Find out how she did it at our workshops! These afternoon workshops are completely free to attend, and are open to anybody interested in taking part in Museums at Night in 2015 and beyond. 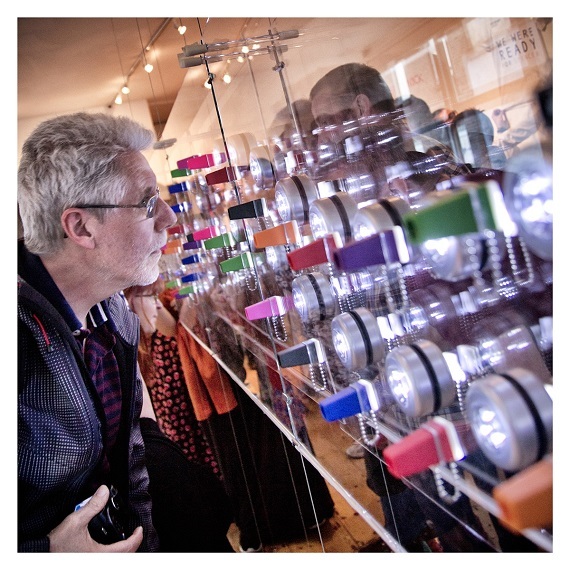 Museums at Night is Culture24’s annual after-hours festival showcasing the arts and heritage sector, which each year offers a great audience development opportunity. Whether you’re a staff member or volunteer, MDO or Town Centre Manager; based in a museum, gallery, library, archive or heritage site; and whether your organisation has never taken part in the festival before or has frequently run events, but would like more inspiration or the chance to form a local cluster; you’ll find something of interest. What is the Connect! competition? Formerly known as Connect10, Connect! is the competition giving venues the chance to win a participatory artist-led Museums at Night event and a £3,000 bursary. Some aspects of the competition are changing in 2015, so please come along to find out more. You’ll find out about the benefits and challenges involved in hosting an after-hours event, what it takes to be a Connect! winner, and what it’s like to host a top artist from the people who have done it before. Take advantage of this unique opportunity to hear first-hand from a Connect10 artist, who will share their experience of developing a successful participatory event, and tips for venues interested in working with artists. You’ll learn how to organise a local cluster of venues to take part in the festival, plus there will be plenty of opportunities to meet and chat with colleagues from your region. Doors open at 1pm for tea and coffee, each event kicks off at 1:30 and will finish at 4:30pm. We can’t offer lunch, but hot drinks will be available. Don’t miss out – book your free place today! These briefings are supported by Arts Council England lottery funding. A few months ago we introduced the idea of Museums at Nightclub: an artist-led, touring event series taking place in Autumn / Winter 2015, produced by a consortium of venues in conjunction with Culture24, taking place in areas with low engagement in the arts. It will feature artists who specialise in participatory arts events, and who have worked on the Connect10 project in previous years. We are developing a proposal to submit to Arts Council England’s Strategic Touring Programme before Christmas, involving a partnership with venues. Could you be one of them? Download the three page information pack to find out more about what will be involved. We want to work with 16 venues from all over the country over the two year lifetime of the project, eight in the first year and again eight in year two. We want to submit the application with at least eight venues firmly committed to the project and at least eight more aiming for year two. Venues from anywhere in England may express an interest but preference will be given to those identified by the Taking Part Survey (2008 – 2010) as being in the 118 local authority areas in the country with the lowest level of engagement in the arts. We will read all the expression of interest forms submitted and contact everybody before inclusion in the final application. Inclusion in the application is not to be taken as a commitment by Culture24 to include your venue in the project. The first stage of the project after receiving a positive decision would be to hold detailed discussions with the artists and interested venues. At this stage there are many aspects of the event that may lead us to need to prioritise one venue over another; diarising simultaneous events, artist schedules, facilities, technical considerations, progress of audience development planning and much more besides. 2) Discuss the opportunity with your team. Becoming part of the new Museums at Nightclub touring network will involve a lot of time and development work ahead of the events in autumn / winter 2015: do you have the capacity for this? 3) Phone Nick on 01273 623279 or Rosie on 01273 623336 for a discussion about how this opportunity would work for your organisation. 4) Want to apply? Download the list of application form questions, and start preparing your answers. N.B. Please take a look at the list of questions from the expression of interest form first, to prepare your answers before filling in the form. The form is two pages long, involves a certain amount of detail about your target audiences, and must be completed in one sitting – you can’t save it and come back to it. 5) Ready to submit your expression of interest? Please fill in this form by Friday 29 November. Please get in touch with Nick or Rosie if you have any questions relating to this project, or if you can’t download the documents – we’re happy to email them to you.